MARAWI CITY — A former Marawi City mayor and now a mayoralty candidate was “invited” to a military camp here after the proclamation rally Friday (April 12) of the Partido Demokratiko Pilipino-Lakas Ng Bayan (PDP Laban), an Army official said. Lt. Col. Jake Jumawan, commander of the Army’s 82nd Infantry Battalion, said former mayor Omar Solitario Ali was not arrested but was only “invited” inside the Kampo Ranao–headquarters of the Army’s 103rd Infantry Brigade. “He was invited… he was never arrested. Kasi kung arestuhin dapat may warrant of arrest. Nagkwentuhan lang kami with brigade commander (Col. Romeo Brawner, 103rd Infantry Brigade),” Jumawan said in an interview. Jumawan said Ali was allowed to go home after 30 minutes. “We treated him humanely because the AFP (Armed Forces of the Philippines) is a human rights observer,” Jumawan said. Ali has been in hiding after he was included in the arrest order issued by the Department of National Defense, following the declaration of President Duterte putting the entire Mindanao under Martial Law when the Marawi siege broke out in May 23, 2017. Ali allegedly has links with the ISIS-inspired Maute group that led the Marawi attack and is facing rebellion charges. His brother, also Marawi former mayor Fahad Salic, was also included in the arrest order because of the latter’s support for the Mautes. Salic was arrested in a checkpoint in Misamis Oriental in June 2017. 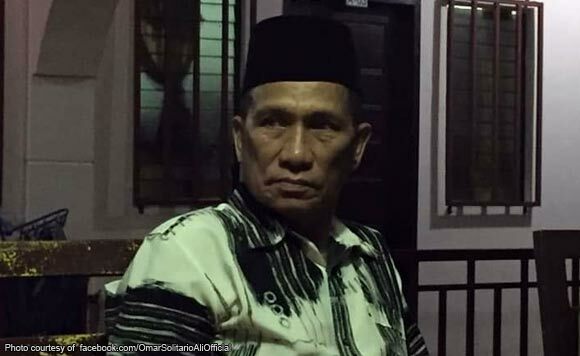 Ali’s son, incumbent Marawi vice mayor Arafat Salic–who was in hiding because he was also included in the DND’s arrest order–was released by the Department of Justice after finding the arrest order to be invalid as it was not issued by courts. On August 16 of 2017, Defense Secretary Delfin Lorenzana removed Ali from the list of persons ordered arrested under Martial Law rebellion. Despite being in hiding, Ali was able to file his certificate of candidacy for mayor in the May 13 elections. He was one of the mayoralty candidates in Marawi City who attended the event, hoping to get an endorsement from President Rodrigo Duterte. weather, according to a statement from Malacañang. In an earlier interview, Ali vehemently denied involvement in a rebellion. “The affinity of my brother to the Mautes doesn’t mean I have involvement and knowledge of their activities,” Ali said.